VOCAL‘s HD Video reference design supports rapid development of point to point and multipoint high definition video conferencing and communications solutions with wideband audio and H.264 and MPEG-4 video capture and streaming. 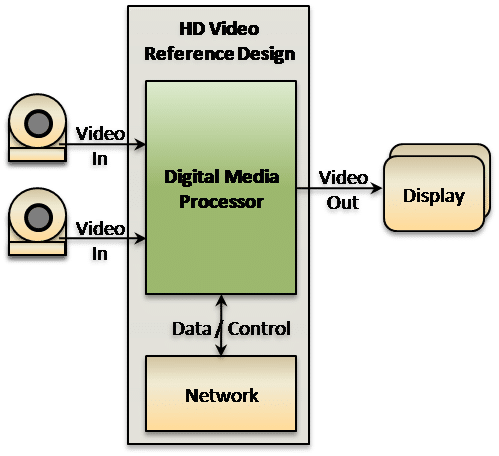 Our HD Video design leverages the Texas Instruments DaVinci DM81xx (DM8168 and DM8148) family of digital media processors. It provides low-cost, integrated, multi-channel video over IP solutions with up to 3 – HD 1080p high definition or 12 – SD channels. The HD video reference design enables developers to access and utilize any of the DaVinci DM81xx physical device interfaces to customize their products. The hardware interface board layout can be configured to access DM8168 and DM8148 DVI, HDMI and VGA interfaces. Contact us to discuss your HD video application requirements. VOCAL’s HD Video reference design can be used to create complete multi-channel high definition video conferencing solutions using the DM8168 (or DM8148) including endpoints and server with H.264 and MPEG-4 video streaming. 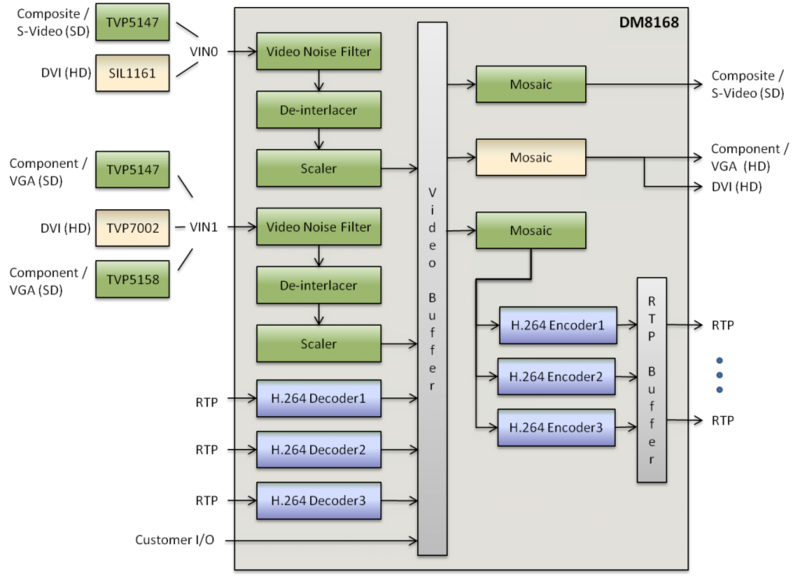 The DM8168 EVM based reference design supports simultaneous H.264 channels with HD audio, video capture and full streaming of video over IP up to 1080p high definition. The DM8148 EVM based design supports only a single HD channel at 1080p high definition with multiple SD channels and full wideband audio. When combined with the VOCAL Video Framework software, developers can create a superior user experience for multichannel DM8168 and DM8148 high definition video conferencing applications with full WB audio and H.264 and MPEG-4 video compression and noise reduction. Our Voice and Video over IP software library also provides a complete range of wideband and ultra-wideband audio codecs with beamforming, echo cancellation, dereverberation, and noise reduction algorithms for exceptional audio quality as well as SIP and other VoIP video conferencing protocols for smooth capture and playout. Our speaker diarization software can be combined with acoustic beamforming for efficient and robust source tracking during video conferencing.